Marmon Herrington Parts. Axle and transfer case repair parts. Marmon Herrington Parts For Sale. 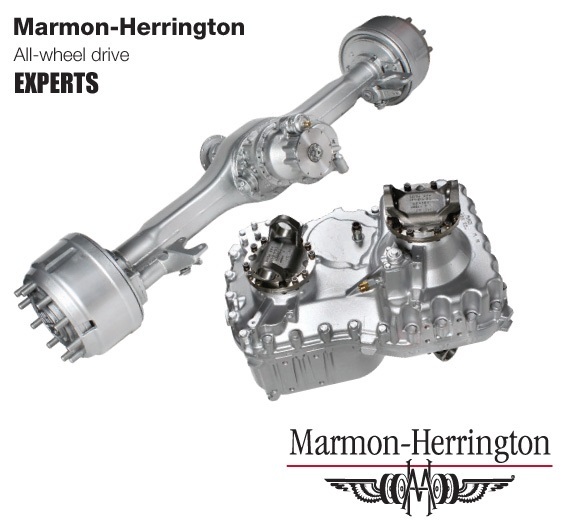 We offer a vast selection of Marmon Herrington parts. Complete Units Factory Direct Including: Axles, Differentials and Transfer Cases and a full line of repair parts like: Clutch Sleeve, Roller Bearings, Cross Pin, Bearing Cages, Housing, Wheel Studs, Yokes, Trunnion Pins, Oil Seal Support, Bearings, Felt Wipers, Axle Shafts, Hub Kits, Hubs, Pinions, Ring Gears, Flanges, Seals, Brake Shoes, Slack Adjuster, Ball Stud, Shafts, Cases, King Pins, Bushings, Gear Sets, Planetary, Shims, Tie Rods, Carrier Assemblies, Brake Drums, Cam Shafts, Gears, Lock Plates, Shift Forks and more. All the Marmon parts you need to rebuild or repair any model, delivered to your door overnight. Discount prices and shipped direct from the factory. Marmon Parts, Call today and save!